If you have visited my massage office and complained of a stiff neck, sciatic pain, or low back pain, chances are I told you to use tennis balls to work on the area when you got home from the massage. Tennis balls are my favorite self-care massage tool. You don’t need expensive tennis balls like you use on the court. You can buy three for a dollar in the pet section of most discount stores like Dollar General or Dollar Tree. If you put a couple in a sock or the leg of an old pantyhose, you can create a second tool that allows you to get to many hard-to-reach places as well. When you add some stretches to your self-care treatment, you can often relieve pain between massage visits. Indeed, it sometimes may seem that a massage wakes up latent trigger points. While the therapist hopes she has released all your knots, sometimes an area hurts worse after the massage as the body adjusts and realigns itself. A tennis ball on the area can finish releasing any of the “knots” that just don’t want to go away. Just like the pressure applied in a neuromuscular therapy session, the tennis ball forces blood, lymph and toxins out of the muscle tissue. When the ball is removed and the blood rushes back, the tissue is flooded with oxygen and nutrients, and the tone of the muscle is reset. If you follow the trigger point treatment with stretching, you can often induce the muscle to keep its tone permanently. The piriformis attaches on one end to the sacrum and on the other to the head of the leg bone at the hip socket. When it gets tight, it can cause back pain, hip pain, or leg pain. Leg pain is especially likely if the tight muscle entraps the sciatic nerve. Place the tennis ball in the center of the fleshy part of your gluteals. Roll it around until you find the sore area, and situate the ball there. Relax into the ball allowing gravity to assist you in the release. Breath deeply until you can no longer feel the soreness. Move to a new sore spot an repeat until the muscle is relaxed, then repeat on the other side. Afterwards while still lying on your back, stretch the muscles by placing the ankle of one leg just above the knee of the other (like you are crossing your leg) and pulling the lower knee toward your chest. Repeat on the other side. I also do a variation of this by lying on my side with my lower leg straight and my top leg bent and crossed over the lower leg so that my upper buttocks are rotated forward. Then I can easily reach the piriformis with my hand holding the ball. I can press and roll the ball until the trigger points are released. I do this in bed rather than on the floor. One of the most common complaints is stiff neck or headache pain. The occiput release allows the skull to release any jamming from the spine. The release can cause deep relaxation and improved movement. Massage therapists usually use their fingers to create the release, but tennis balls are a great way to get a similar result at home. Putting two in a sock and then lying on them is the best way. Be sure they are positioned at the bottom of the protrusions at the back of the skull on both right and left. Relax into the release for up to five minutes. Follow up with neck stretches front, back, and side to side. culprits in medial knee pain. To release the adductors, drape a folded blanket or towel along the front edges of a straight-backed chair with a hard seat to act as a cushion. Sit forward on the chair, and spread your legs. To release the right adductors, hold the tennis ball in the left hand and place the back of the left hand on the right side edge of the chair. Lean your body to the left and place your right thigh over the tennis ball. Begin at the groin and work your way down the inner leg, holding the points that are painful until you feel the release. Stop just above the knee. Repeat on the other side if necessary. Do lunges to further stretch the released adductors. Tennis balls have long been used by dancers and athletes for self-care. Yoga instructors frequently suggest them to help their students care for injuries and achieve deeper poses. make them part of your self-care practice. Several of you know I’ve been taking art classes online for the past year. One of my teachers, Tam Laporte, is offering a new class based on a fairy-tale theme. It’s mixed media, and even if you have very little (or no) previous experience in mixed media, you can take this class. Tam has twelve guest teachers, one of whom is Effy Bird, another of my teachers. It should be a great class. For more details, click here: http://tinyurl.com/effyeverafter. The class stars July 1. Myofascial massage is a gentle massage modality that releases the connective tissue or fascia through gentle, sustained stretching and pressure. As the underlying fascia releases, muscles relax and mobility improves. Myofascial massage is usually performed without creams or oils, or alternately, if the therapist has already applied lubricant, she may use the client’s bones for an anchor if she finds a restriction so that a stretch can be achieved. The stretching is usually comfortable and even relaxing. The results of this sustained stretching on the fascial structures provide pain relief that can be quite amazing considering the pressure is so gentle. Fascia is the thin tissue that covers everything in your body and gives it structure. You’ve seen it between the skin and the flesh when you’ve skinned a chicken. Fascia covers your organs, your muscles and even the individual muscle fibers and cells. Fascia exists in a continuous sheet throughout the body so that a restriction in one part of the body can cause pain in another part of the body even if they seem to have no relation to each other. We call this referred pain. When you are injured, the muscle fibers and the fascia become tight and restricted and may even stick to each other. Scar tissue may form as the fascial sheet thickens at the injury site and loses some of its elasticity. The gentle stretching action of myofascial massage can release this restriction, restore elasticity and return the muscles and organs to optimal functioning. To discover the restrictions, the therapist will palpate the skin and underlying connective tissues to locate areas of adhesion and compromised movement. Then she will apply traction, stretching and twisting strokes to loosen the fascia. The movements are slow and deliberate and may last several minutes until the tissue relaxes. When this happens, the client often will feel a sudden sense of release. In fact, if the muscles are holding a great deal of tension, the release can be rather intense. The therapist may follow with Swedish or deep tissue massage to further release the muscles. Two of the most famous myofascial release teachers in the United States are John Upledger and John Barnes. Upledger and Barnes believe muscles lock because of the stress people hold in their bodies and because of injury and scarring. They teach that myofascial release can release these blockages, realign scar tissue and improve range of motion. Other teachers include Ida Rolf and Tom Myers. Their techniques often go deeper over the course of time, and can be more painful. However, these techniques can quite literally reshape the structure of the body. Incorporating myofascial techniques into your massage session can result in improved posture and flexibility as the fascial adhesions that constrict muscles relax and soreness dissipates. One of the benefits of myofascial massage is that it is not painful, so it is a good choice for clients who bruise easily, have thinning skin or who suffer from fibromyalgia-like symptoms. Myofascial massage has also been shown to improve the symptoms of such ailments as migraine headaches, repetitive stress injuries, menstrual cramps, and muscle spasms. Chances are your therapist is already using some myofascial techniques to your session. To find out more, please speak to your therapist. We are a touch-starved culture. That is one reason massage is so important to well-being. This is a good blog to show how positive touch can fight disease. 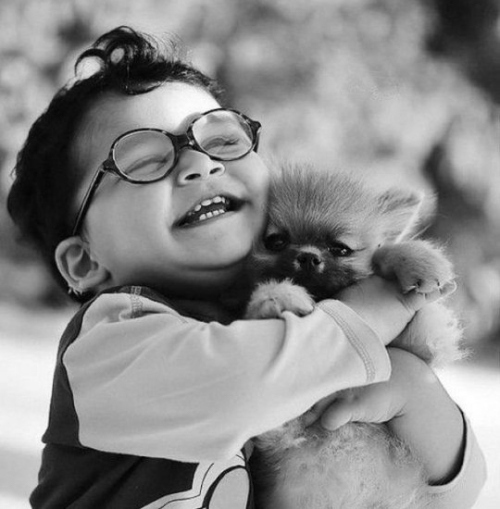 A recent article from Dr Mercola one of my favorite contributors to the health field lauds the value of hugging in avoiding infection. Of course as a Massage School I immediately related getting more hugs to the value of receiving massage! More on that in a moment. If you’ve found yourself barely able to walk upon arising from bed or after sitting for a time because of pain in the heel that feels like walking on sharp stones, you may have plantar fasciitis or its more serious cousin, heel spurs. Plantar fasciitis is the most common form of heel pain and affects almost two million people in the United States per year. It occurs when the connective tissue of the plantar ligament stretches irregularly and then tears. The result is inflammation in the long plantar ligament that transverses the bottom of the foot from toes to heel. The burning, stabbing or aching pain usually occurs at the attachment to the heel bone, called the calcaneus, and gets worse with both disuse or prolonged use as the ligament either relaxes or becomes overly stressed. You can reproduce the pain by dorsiflexing (pulling up) the toes. The good news is that plantar fasciitis rarely requires surgery to correct. The bad news is that ligament tears heal slowly and that the situation that caused the initial tear, if continued or repeated, can slow down the healing process. Improper gait and genetic foot problems like flat feet, very high arches, pronation and supination can cause plantar fasciitis as can certain repetitive activities. Athletes and folks taking up a new physical activity are particularly prone to plantar ligament tears. Proper exercise shoes and good form are a must to prevent injury. In fact, good shoes that support your feet are your number one defense. See a professional who can help you choose the best brand or insert for your particular gait. You will likely need to change the insert before the outer sole is worn out. Innersoles have a woefully short life in relation to their cost. Age and age-related illness are also a factor in developing plantar fasciitis. Arthritis sufferers are prone to heel pain, and those with diabetes not only get plantar fasciitis more frequently but may not heal as quickly from micro-tears in the ligaments. Being overweight can also damage the plantar ligament, no matter what your age, and pregnant women are prone to the ailment both because of the weight-gain and because hormones during pregnancy cause the connective tissue to relax in preparation for the stretching of the pelvis during the birth process. The first treatment for heel pain is rest, ice, and elevation. Many folks say rolling the foot across a plastic bottle filled with frozen water is a great relief. OTC pain relievers can also help. If you think your foot gear may be the cause, buy new, better supporting shoes. In fact, spending a little extra on good foot support now may prevent your ever getting plantar fasciitis. Ask anyone who suffers from it if good shoes are worth the money. Massage can help stretch the plantar ligament, and your massage therapist has been trained to gently stretch the ligament without tearing it further. If your therapist can do Medicupping, that may help gently release the tendons. Many chiropractors can perform adjustments to the feet that relieve the pressure. Obviously, if first-aid treatments and manipulation by your massage therapist and chiropractor do not work, you need to see a doctor or podiatrist who may prescribe orthotics to take the pressure off the ligament. Failing that, they may prescribe corticosteroid injections or a new sonar treatment called extracorporeal shock wave therapy. The most extreme treatment is surgery. Heel spurs are bony fragments that extend fromt he calcaneus into the soft tissue of the heel. 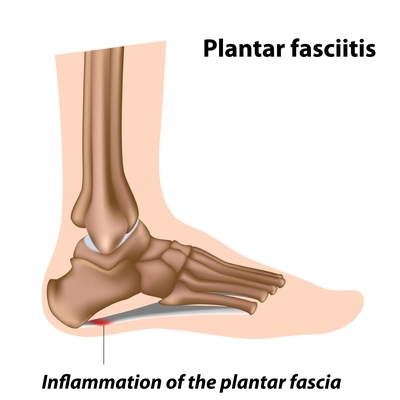 They often occur when plantar fasciitis is untreated, causing prolonged pulling of the inflammed ligament on the bone. However, bone spurs can occur on their own. Early treatment is the same as for plantar fasciitis, but surgery is sometimes the only option to remove a bone spur. Preventing plantar fasciitis in the first place should be a part of your self-care practice. First, keep your weight down to reduce tension on the plantar fascia. Second, wear shoes that cushion and support the heel, ball, and arch of your foot, and replace old-worn-out shoes that have lost their support as they may actually be the cause of the irregular plantar stretching and tears. You should wear shoes on hard surfaces rather than going barefoot or wearing cheap flip-flops. Watch repetitive activities and build up your endurance in new sports. Finally, stretch the calf muscles, your Achilles tendons and your feet regularly and before any exercise to keep them flexible and pain-free. Have your massage therapist work your feet and calves more fully if you feel a problem developing. Have you noticed that many chiropractors are hiring massage therapists? Has your chiropractor suggested massage may help? Many clients are finding that combining massage and chiropractic adjustments can speed recovery from injuries or limited mobility. The musculoskeletal system is a marvel of cooperation and support. Bones provide strength, protection and structure, and muscles and fascia provide movement. Muscles are attached to the bones by tendons. When muscles become shortened or tight, they increase the tension on their attachment points and can actually pull the bone from its natural position. 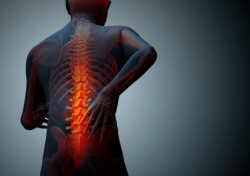 Similarly, spinal misalignments can create pain patterns that cause a compensatory adjustment in posture that results in contracted muscles when they should be relaxed. Trigger points form. Before you know it, you have a vicious cycle of misalignment and pain. Sitting at a computer, driving for long periods, and digging in the garden are just a few activities that can cause poor posture and muscle strain. For example, if you work at a desk or computer terminal all day, your trapezius muscles could shorten. This in turn could cause your cervical spine to misalign and cause pressure on disks and nerves. The postural problems become cyclical. The shortened muscles compress the spine and the spinal misalignment causes the muscles to splint in order to avoid additional injury. This is one instance both massage and chiropractic can help. Massage supports chiropractic. Adjustments last longer because it releases muscle tension that might otherwise pull your joints into misalignment again, and it helps the adjustment to proceed with less discomfort when the soft tissues have been relaxed. It helps you recover more quickly by stimulating the circulation and thus bringing healing blood and nutrients to the pain site. Finally, it can help you relax before your chiropractic adjustment. Similarly, chiropractic supports massage. Joint mobilization received during an adjustment can help relax the deepest layers of soft tissue that are sometimes difficult to comfortably reach during a massage, and the tissues around and misalignment often heal quickly once they are not longer trying to splint a misaligned joint. Finally, a chiropractor can use other diagnostic tools like x-rays to rule out other causes of pain. As more and more clients discover the benefits of complimentary medicine, they are touting the combined benefits of massage and chiropractic. These natural therapies focus on treating the cause of pain rather than the symptoms and emphasize preventative care as well as pain relief. They are holistic therapies that are safe and effective and can work as alternatives to drugs or on conjunction with more traditional, allopathic treatments. Used together, they can help you achieve your optimum health and wellness goals. Massage Cupping uses reverse pressure to release adhesions and relieve pain. Massage cupping is an exciting modality with a wide range of benefits. If you get acupuncture, you’ve probably been cupped as a part of your Traditional Chinese Medicine treatment. Massage cupping is a bit different in that the vacuum in the cup is created with a pump rather than with fire. Likewise, the cup is moved around on the body instead of being parked for a long period of time as it is in TCM. There are many benefits to cupping. The pressure on the tissues pulls them up rather than pressing them down toward the bone as in regular massage. This is called reverse pressure. Cupping clears stagnation, drains and moves lymph and other fluids, relieves inflammation, expels congestion, and sedates the nervous system. It enables the therapist to do deep work with less discomfort to the client. Cupping is helpful for a variety of conditions, including fibromyalgia, neuralgia, sciatica, edema, respiratory congestion, headache, sluggish colon, anxiety, insomnia, and scarring, to name a few. It can usually be added to your normal massage with no additional cost. On the other hand, massage cupping can be a stand-alone treatment and is especially popular when combined with aromatherapy in a treatment called the Aromatherapy Cocoon Bodywrap. When done in a series of eight treatments over four weeks, the Aromatherapy Cocoon Bodywrap has been helpful in treating smoking cessation and weight reduction. The oils chosen for the sessions are very specific and therapeutic in their effect on the body. Another popular treatment is the facelift massage, which can be combined with the Bodywrap or with the Bellanina Honeylift product. The negative pressure on the face and neck can bring nourishing circulation to the skin surface, stimulate collagen and elastin production, smooth fine lines, release tight facial muscles, and drain stagnant lymph that causes puffiness. A similar therapy can help the sinuses to drain more effectively although this should not be done if there is active infection in the sinuses. However, clients should understand that this is a massage treatment, not a facial. If you are interested in the benefits of massage cupping, please speak to your therapist. Call Suzanne Eller at 828-310-0161.